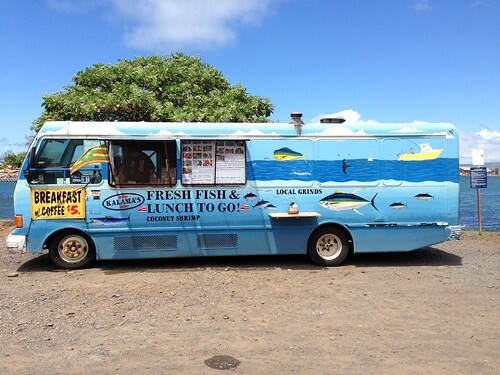 If you’ve driven down Kahului Beach Road lately, chances are that you’ve seen the bright blue fish-painted bus that houses Kalama’s Fresh Fish & Lunch to Go! local grinds truck. I seem to see this one the most, at least five days a week from early in the morning until around four or five in the afternoon. They serve a mean breakfast for just $5 and boast an extensive menu board for a food truck. They also have desserts like floats for $3 and deep fried Oreo sundaes for $5. You may even recognize Kalama’s from their little restaurant at Kau Kau Corner on Dairy Road. They have since gone mobile and only do the food truck, but it offers of the biggest menus I’ve seen hit the road. The little spot in front of the Kahului Boat Ramp is famous for collecting the food truck scene in Kahului–it’s hot and dusty, but easy to see and easily accessible. At Kalama’s, they make everything to order. If you know their menu, you can call ahead and then drop by to pick up your food. Plate lunches are their specialty and they have a lot of fish options, chicken katsu, mahi with lemon caper, panko-crusted fish, fish katsu, fish and chips, coconut shrimp, barbecue chicken, Kalbi, sirloin with sautéed mushroom and kalua pork with lomi salmon. The lunch plates all come with a cold drink, rice and mac salad and they run you around $8-10. You can sub in crinkle cut fries or green salads, too. We sampled the kalbi and the chicken katsu, and subbed in fries instead of rice for $2 more. 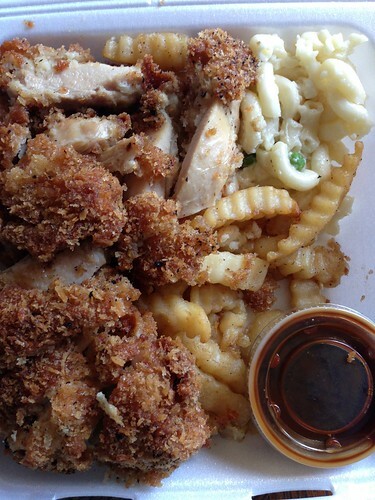 The katsu was just how you want it: crisp, trimmed and cut in slices. On top of fries, the meal was a belly bomb (not even counting the mac salad). The portions are huge, and there will be plenty left over for your mid-day snack. 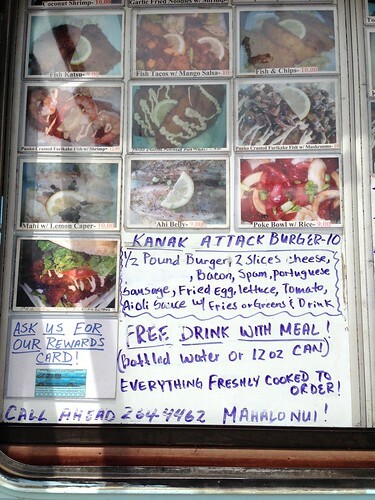 The Kanak Attack Burger comes with a warning to eat at your own risk–for $10, you get a half-pound burger with bacon, Spam, Portuguese sausage, a fried egg, lettuce, tomato and aioli sauce, plus fries or greens and a drink. Whoa! I didn’t have the appetite to attack the kanak so I compromised with a mushroom Swiss burger for $6 (adding fries and a drink makes it $8). The mushrooms and Swiss are just what the burger needs to spice up the flavor of their patty. The tacos are just $5 each, and you can get them in fish, shrimp, kalbi or chicken. They can also make a taco plate with green salad and a drink with two tacos for $10. Kalama’s hands out a rewards card, so ask for one when you stop by. 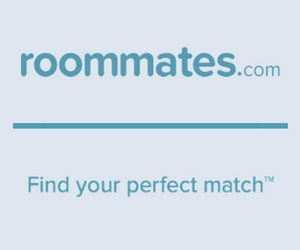 If you want to confirm their location or would like to call in your order, call 808-264-4462. Mahalo Leslie! Great food great prices. Imua Kalamas!